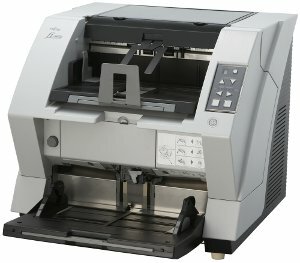 fujitsu-Fi5950-scanner Flexible, Fully-Integratable, and Supported Production Scanning. In addition to excellent image quality, high capacity input hoppers and a wide variety of options; these production scanners make integration much easier by offering multiple interface options as a standard feature. On-site service options add the comfort of knowing that your mission-critical production scanning environment will be running at the maximum throughput.